Our services are highly personalized encouraging individual initiative and fostering personal concern for our client's success. Our Company prides itself with providing its clients with the highest level of service in a professional and friendly environment. 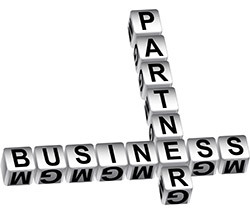 Through open communication with our clients, we view ourselves as your business partners. Our aim is to become a trusted business advisor assisting you whenever you are faced with a decision that will affect your financial future. We believe our greatest asset is our professional experience and dedication to our clients. The Vasil CPA Firm provides a wide range of services to individuals and small business.